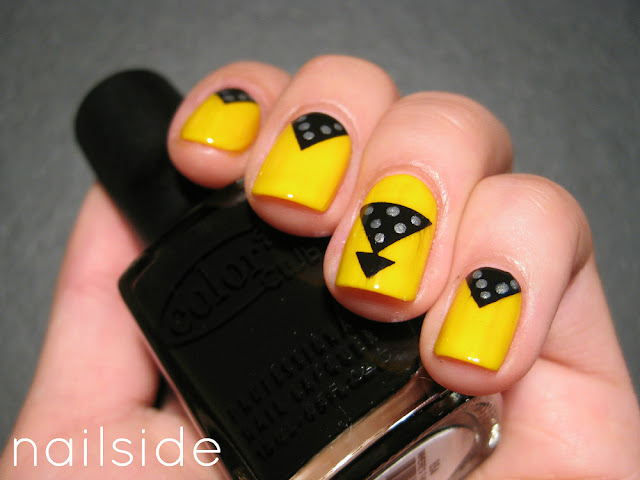 Yellow nails! These took a long time to get done because of the design on my ringfinger, so I made studded V-gaps on the rest on my fingers, which I actually liked better in the end. :-) The yellow basecolor is H&M's Lemon Tree. This was three to four coats which I admit is a lot. But the formula is great to work with, very smooth and no dragging, making it my favorite yellow next to Color Club Almost Famous. The silver I used for the dots/studs is Essence Romeo and the black is Color Club Where's The Soiree? as usual. What are your thoughts on this yellow rock look? Beautiful pattern, lovely combination of colours. 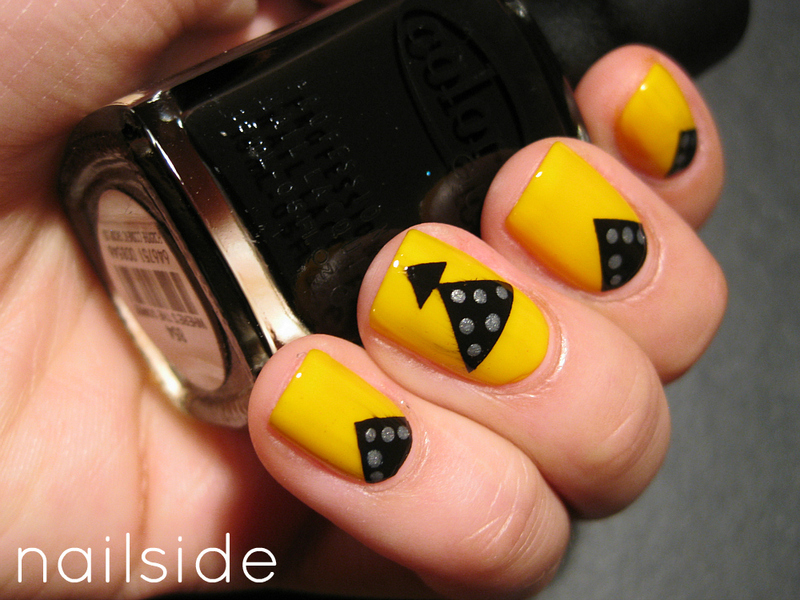 I always love yellow with black and silver. These are fabulous! And of course genius for using silver polish as studs. Someday I wish to have your tape skills! I must admit I'm a sucker for yellows, including strong yellow eyeshadow; too bad nobody even gets the nails let alone eyeshadow in that colour :P .
Yes, the V-gaps... I like them more, too! But it's an awesome nail art. Very nice! So bold. I love it.